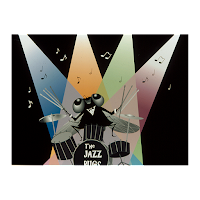 (Thursday, January 11, Orlando, FL) – The Jazz Fly, part of the Orlando Philharmonic Orchestra’s Symphony Storytime Series presented by Orlando Health and Arnold Palmer Hospital for Children, takes place at 11 a.m. and 12:30 p.m. on Sunday, January 21 and 10 a.m. and 11:30 a.m. on Saturday, January 27. Award-winning Jazz Fly Author, Matthew Gollub will participate in both concerts on Saturday, January 27. The concert presents live music for young children, ages three to seven by Orlando Philharmonic musicians, along with narration and beautiful hand-drawn illustrations that bring favorite children’s classics to life. All concerts take place at The Plaza Live, 425 North Bumby Avenue, Orlando, Florida 32803. The Jazz Fly is lost, trying to find his way to a very important performance. He meets several animals along the way, but they don’t understand him. When he finally gets to the hall, the Jazz Fly is inspired by all the animals he meets and steals the show! After the concert, children enjoy hands-on activities in The Plaza Live lobby that allow them to play different instruments with the musicians, act out the characters they’ll hear in the story of the day with Orlando Philharmonic musicians, color in their own Symphony Storytime booklet, and take photographs dressed as musicians. In celebration of the Philharmonic’s 25th Anniversary Season, a post-concert toddler zone for newborns to children up to the age of two is available. audiences ranging from pre-school through 6th grade. His 18 picture books have garnered more than 25 national awards and distinctions. At 6 p.m. on Thursday, January 25, Gollub, in partnership with the Orlando Philharmonic, will participate in a special dynamic storytelling program at the Alafaya Branch of the Orange County Library System, located at 12000 East Colonial Drive. He will play drums, perform stories, and share insights about his award-winning books. The event is free to the public and sponsored by the Mary Palmer Family Foundation. Gollub is also participating in two special school presentations at 10 and 11:30 a.m. on Friday, January 26 at The Plaza Live. Additional support for the Symphony Storytime Series is provided by Bloomingdales and Kay Hardesty Logan Foundation and Mr. Gollub’s residency is sponsored by United Arts of Central Florida. The Orlando Philharmonic Orchestra is supported by United Arts of Central Florida and the State of Florida, Department of State, Division of Cultural Affairs and the Florida Council on Arts and Culture. Tickets to each Symphony Storytime concert are just $10 and a discount of 10% is offered when buying 3 concerts. Tickets are available online at orlandophil.org, by calling 407.770.0071, or in person at the Box Office, located at The Plaza Live (425 N. Bumby Avenue, Orlando). The Box Office is open Monday through Friday, 10 a.m. to 4 p.m. (Ticket prices subject to change.) For group rates (10 or more), please call the box office or emailscostner@orlandophil.org.